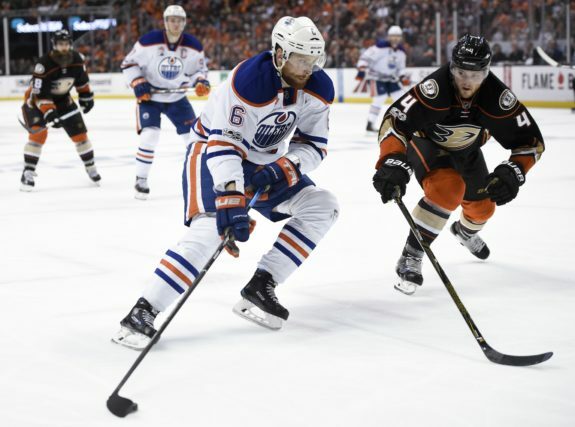 With only twelve games left in the NHL season for the Edmonton Oilers and the team eight points back of a wild-card spot in the Western Conference, the playoffs aren’t looking very likely. Such a fate is unfortunate, since, the loss to the New Jersey Devils notwithstanding, the Oilers have looked pretty good as of late. Whatever happens with the last few games in March, there is some good and bad to take from the season and this final stretch run. What you choose to focus on as an Oilers fan is simply a matter of perspective. Some will argue that with a player this good, there’s no excuse for the Oilers to miss the postseason again but if you’re a McDavid fan, it’s easy to put aside that unfortunate fact and just marvel at what he’s been able to accomplish without a ton of help. Outside of Leon Draisaitl and Ryan Nugent-Hopkins, McDavid is basically the LeBron James of the NHL. It doesn’t matter who you play him with or what linemates surround him, he’s going to get 100 points if he’s healthy and in today’s NHL, that’s, quite frankly, amazing. Unfortunately, like LeBron, McDavid’s production alone doesn’t guarantee a playoff spot. How good has Andrej Sekera been since coming back? That’s a rhetorical question because the answer is fantastic! After how he looked when he returned last season from injury, no one should have expected Sekera to be as productive as he’s been in just over a dozen games. He’s not just been effective but he’s been one of Edmonton’s better blueliners and his ice time has gradually increased. While the Oilers lost on Wednesday, Sekera was a shining bright spot and he might have been the Oilers best skater. This is a huge plus for a team that not long ago would have looked to trade him and his salary if there was a taker. Now, Sekera gives the Oilers options as they look to improve their defensive core over the summer. 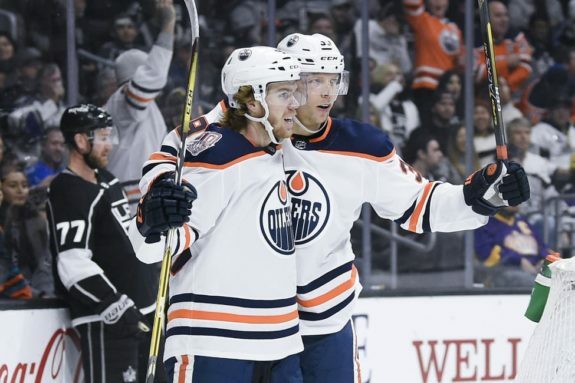 For a player who wasn’t expected to even make the team this past offseason, that Alex Chiasson scored his 20th goal of the season this week is a big plus for the Oilers. The question becomes, what should Edmonton do? Chiasson has said he wants to stay and the Oilers chose not to move him at the NHL trade deadline which means they probably want to keep him. That’s all fine and dandy as long as the team doesn’t overpay for what could be a 20-goal scorer or a fourth-line single-digit producer. If the Oilers can get Chiasson at around $1.5 million per season for two more seasons, that has to be considered a pretty positive plus from a pretty negative season. At those numbers, Chiasson can slot anywhere in the lineup next season and be a useful player for a team that will need depth. Perhaps it’s not fair to call anyone a “lesser opponent” considering how questionable the play of the Oilers can be from game to game, but almost everyone expected Edmonton to beat New Jersey in a game they “had” to have. They didn’t. It seems to be a recurring theme for the Oilers, in that, they lose to teams below them in the standings on a regular basis. 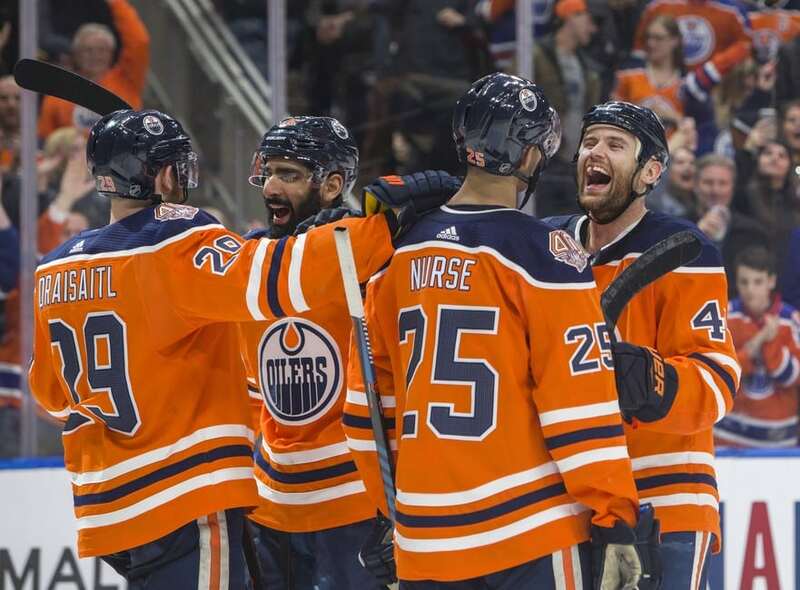 I had Eric Friesen on the most recent edition of The Hockey Writers Podcast and he pointed out an interesting stat: the Oilers have lost to the last-place team in the NHL something like six times this season. Consider that those six losses, if reversed would put the Oilers in the playoffs and you can see how fans are frustrated. The Oilers need to figure out how to beat teams lower in the standings than they are. This will never be a playoff-contending team if they can’t beat the team’s they are supposed to beat. Who would have expected Tobias Rieder to struggle this season? Some may have looked at him as someone who wasn’t going to solve the Oilers problems in the depth scoring department. But, no goals? Not one in 56 games? C’mon. Rieder just hasn’t looked good, he hasn’t come around when his job is on the line and this is the type of season that will see a player play himself right out of the NHL. You sort of have to feel sorry for him, it’s been that bad. There’s no way around calling Larsson’s game these days a struggle. He’s had a tough time with his breakout passes, he’s taken untimely penalties and this is the second season in three that he’s not lived up to the expectations that come with being acquired for such a good player in Taylor Hall. It’s not Larsson’s fault that he was picked up in such a deal but at the same time, he needs to look like a top-pairing defenseman and lately, he hasn’t. 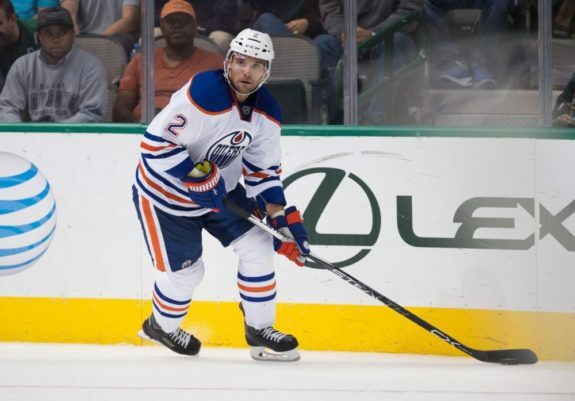 His play now leaves questions as to whether or not the Oilers have a strong enough one-two punch on the blue. 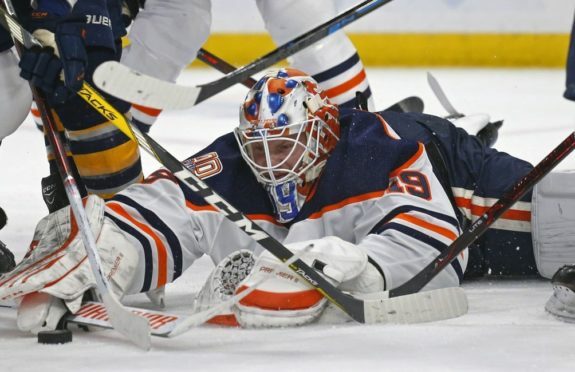 The Edmonton Oilers need to go something like 10-2 over the next twelve games just to give themselves a shot at the playoffs. Good luck. There were plenty of times throughout the season that the team could have avoided this fate but they couldn’t bring it all together and now, even though they are playing well, it’s too little too late. Many fans are saying, ‘It’s so like the Oilers to do something like this.’ Sometimes, when you’re really bad, fans can move on. But, when you’re close enough you can taste the playoffs in a season where 90 points might get you in, what does that say about your team that you couldn’t do it? While the original source of McDavid wanting out is coming from a less-than-reputable place, that this is even a point of discussion on major media news outlets now is not a good thing. McDavid hasn’t expressed any desire to leave the Oilers and he wants to be part of the solution instead of bailing for greener pastures but the Oilers shouldn’t have been in the type of position to even warrant asking the question. Every season that goes by with the Oilers not in the playoffs, these questions will get louder and justifiably so. From all accounts, McDavid is not the type of captain to go when the going gets tough but how much patience can one organization ask someone to have? Because of the McDavid questions, whoever the Oilers hire as the next GM is extremely important. I’m not opposed to Keith Gretzky winding up the next general manager of the Edmonton Oilers. But, if the Oilers are already hinting that this is the way they’re leaning and if the organization does not conduct a thorough search before making that decision, this is simply another example of how misguided the team is from the top down. It came out last week that Bob Nicholson didn’t do his due diligence when he hired Peter Chiarelli and that will leave questions as to whether or not he can do the right thing the second time around. With insiders like Bob Stauffer and Jim Matheson dropping hints that Gretzky is now a strong candidate, it’s starting to look more and more like history repeating itself.